Critics say lifting the shipping rule would allow Puerto Rico to have supplies delivered urgently without incurring huge costs. Amid desperate calls for more supplies from the mayor of San Juan, the White House allowed the 10-day waiver it issued on September 28 for the Jones Act, to expire on Monday. 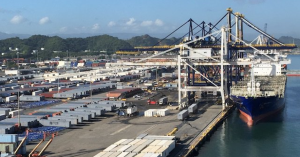 The 1920 shipping rule prohibits foreign ships from carrying cargo between U.S. ports, citing tariffs, and was the subject of outcry last month as the Trump administration raised alarm with its slow response to Hurricane Maria’s devastation of Puerto Rico. Despite President Donald Trump’s statements about the strong recovery Puerto Rico has made and his declaration that Maria was not “a real catastrophe like Katrina,” nearly half of the island’s 3.4 million people are still without drinking water and 85 percent of the territory is without power. Only 25 of Puerto Rico’s 67 hospitals have electricity. The recovery is expected to go on for months. The death toll, which was reported as 16 for several days without being updated, has gone up to 36—and that number is expected to rise as rescue crews make it to areas of the island that have been isolated since the hurricane struck on September 20. Critics say an indefinite lifting of the Jones Act would allow the U.S. to deliver gasoline and other supplies more quickly to speed along the recovery without imposing the high costs of American-owned ships on the island, which declared bankruptcy earlier this year. Remember the #JonesAct that we fought so hard to be waived for #PuertoRico? The waiver expired and won’t be extended by Trump.